What costs as much as a McLaren, looks like an alien landed on your wrist, and spans a massive 57mm? 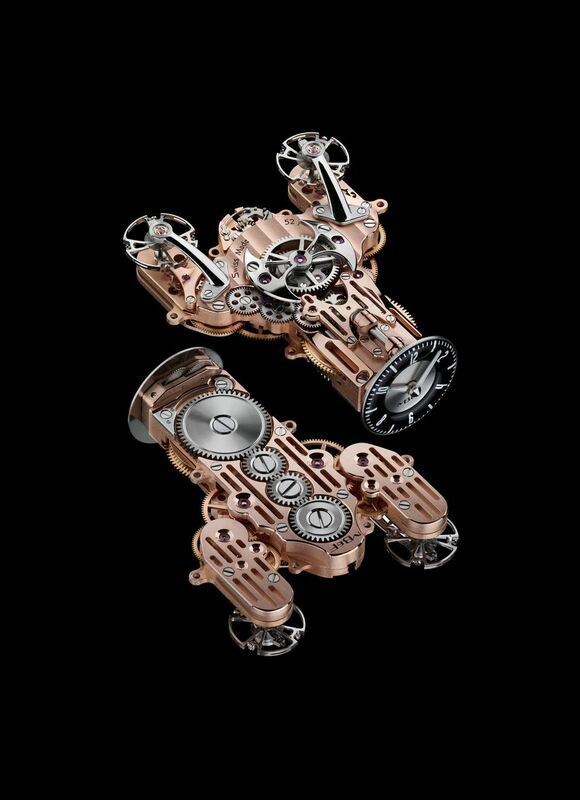 The Horological Machine No.9, aka HM9 “Flow”, the latest creation from the luxury watch world provocateur Maximilian Büsser of MB&F. 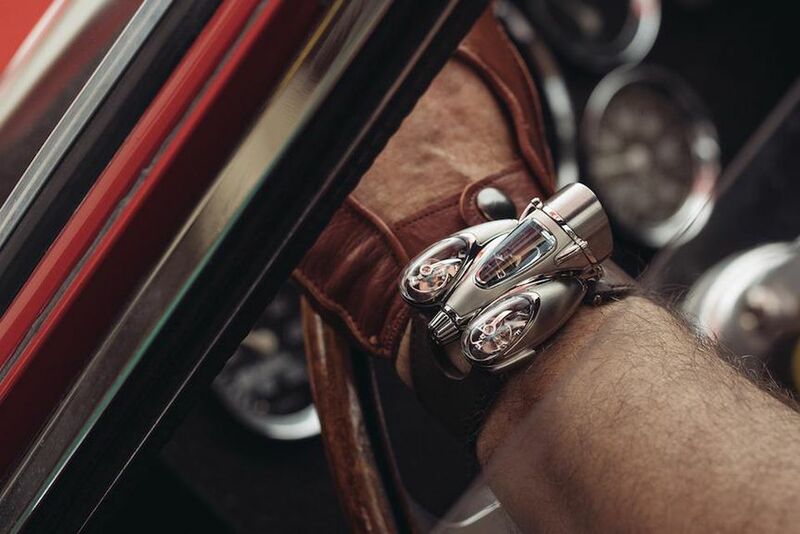 Designed to look like a jet engine as imagined by a mid-century artist into automobiles and aviation, it’s priced at $182,000 and is limited to just 33 pieces each of two variants. The “Air” edition features a blacked-out movement and aviator-style dial, while the “Road” edition has a rose gold-plated movement and speedometer-style dial. 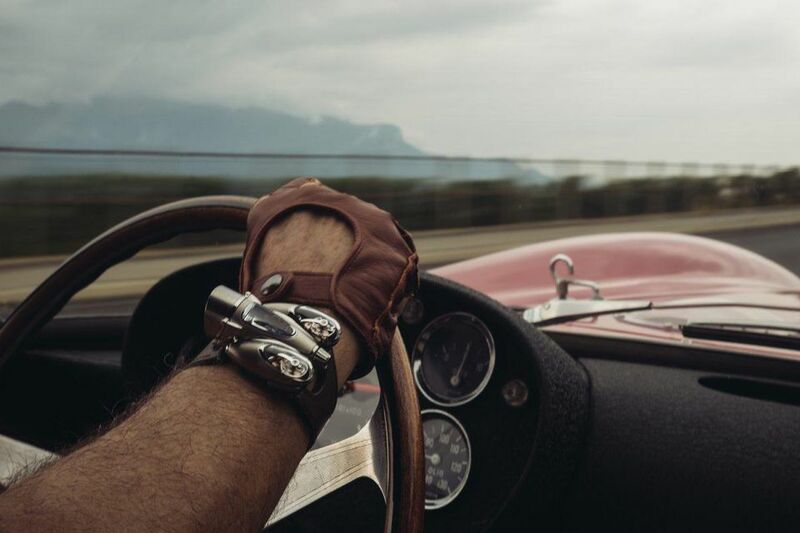 Once dismissed as a steampunk provocateur, Büsser, who started his company in 2005 with a mere $700,000, has gained respect for his steadfast refusal to design anything even remotely resembling a conventional wristwatch and to never compromise in executing his vision. The Dubai-based creator, former CEO of Harry Winston timepieces and later a senior exec at Jaeger-LeCoultre, seems adept at dreaming up the most outlandish pieces possible, which seem to tell time only as an afterthought. With the HM9, the company relates that their manufacturing partners initially dismissed it as impossible to produce. “We did not conceive HM9 with current manufacturing methods in mind,” they sniff. “Its extreme curves and acute angles required new manufacturing standards and techniques.” The HM9’s complicated titanium case alternates polished and satin finishes and contains a manual winding movement developed fully in house. It consists of independent twin balance wheels visible under “elongated domes” of sapphire crystal with a third pane of sapphire crystal on the central carapace. 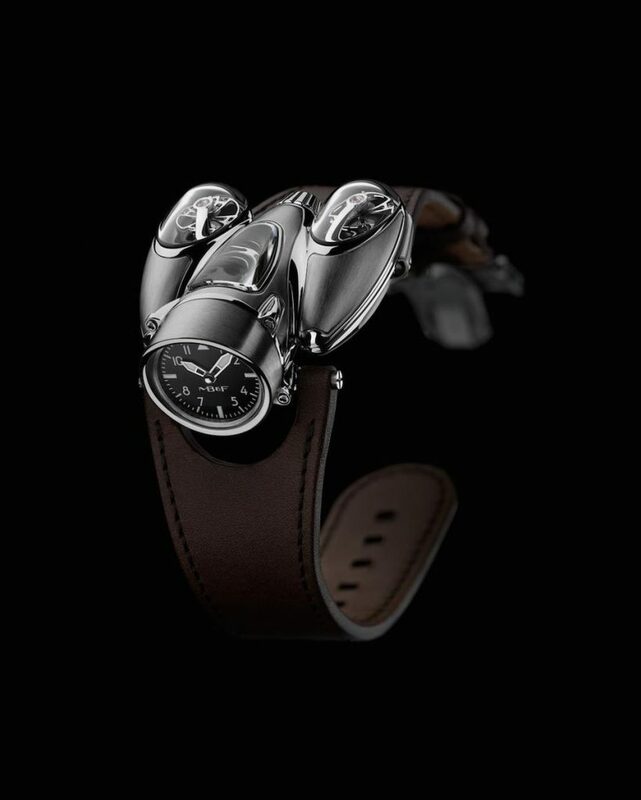 “MB&F was created in a very selfish way to be able to see my own ‘crazy’ ideas come to life,” Büsser once explained in an interview. “If indeed our creations help change our industry by inspiring more creators to take risks, then it will make me happy. I admire any creator who follows his own way, instead of thinking about pleasing the market, the clients or the shareholders. It’s a little sad and leads to a dwindling creative spiral. But hey – go big or go home, right?